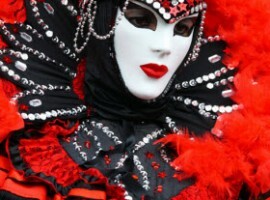 The Carnival of Venice: 900 years of celebrations and craziness! 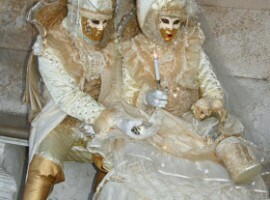 What makes the Carnival in Venice so unique? The first reports of a celebration which could be the “ancestor” of the present carnival bring back to 1162, approx 900 years ago! 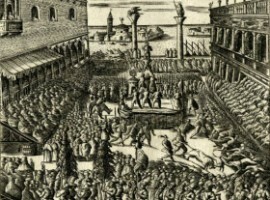 The Doge, the political leader of Venice, imposed a symbolical punishment to the Patriarca of a nearby town: if the Patriarca and his 12 supporters wished to be set free, he had to send a war chest of 1 bull and 12 pigs to be slaughtered each and every year from that moment onwards. The victims accepted and the men were set free. The smell of the roasted meat served to Venetian nobles could be sensed as far as the Patriarca’s town, repeating the defeat and the shame each year. 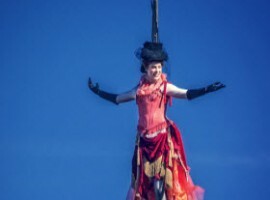 From 1162 onwards, the Carnival event has been evolving and extended its celebration all through the year taking advantage of two capital elements of Venice life: an ironical vision of earth matters typical of the Venetians who have always loved to have fun and the richness of the city. Feasts and celebrations were such a consistent part of everyday life that specific associations, the “Compagnie della Calza”, whose aim was the organization of games, performances, dances and so on appeared in the XV century. 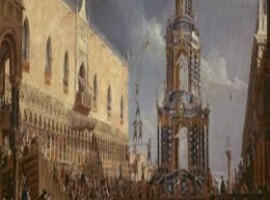 In XVIII century the feast was so important for the city that the first events started in October. 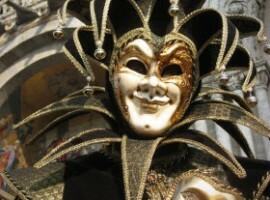 Let’s not forget Carnival has always been a profitable period for Venice: it has always attracted tourists from all over the world and brought “sghei”, the local word for “money”, to the Serenissima deposits. 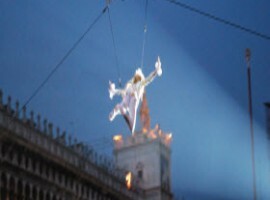 “The Angel flight”: previously known as “The flight of the Turk” as it was first performed by a Turk who flew over St Mark’s Square suspended by a rope in mid XVI century, the “flying man” was then replaced by a wooden dove pouring confetti on the crowd and nowadays by a nice young girl, “The Angel” who flies safely supported by security ropes over St Mark’s square. “The Moresca dance”: now almost completely disappeared, the “Moresca” was a mix of a dance and a “hand to hand combat” inspired by the fights between Christians and Moors. 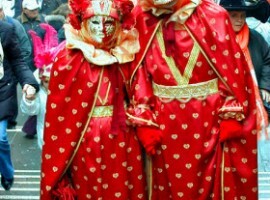 “The momarie”: long and colorful processions of masks crossing the city “calli” and bridge. 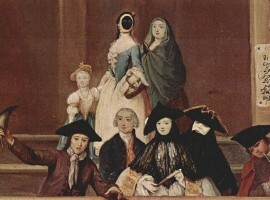 “Bauta” is the unisex white or black mask to be worn on the face so as to hide the facial lines. “Moretta” alike is a black mask to wear on your face. No hole for your mouth just two holes for eyes. 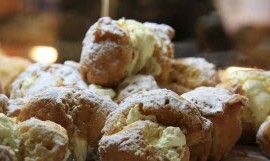 The “Moretta” was originally held in position by biting a little support at the mouth level, a kind of button. Unpractical? Well, it may seem so but remember masks were an easy way to perform little illegal acts during a period when habits were more relaxed but still hiding was preferable so…making oneself recognizable because of an unprompted reply could cost one’s life. Practicality could well be sacrificed. 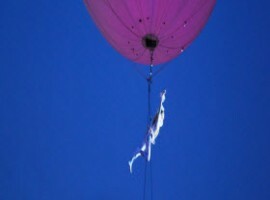 “Harlequin”: some masks were real “full size mask” aiming at disguise the whole figure. 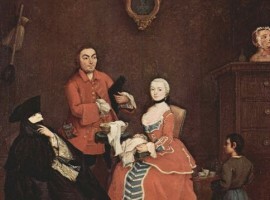 Harlequin was and is one of the best known and its origins come from the Italian “Commedia dell’arte”. A miserable farmer dressed in a multicolor mask dress whose only patrimony is his smartness and a legendary hunger. 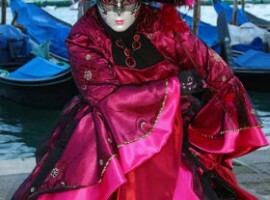 “Colombina”: again a “full size mask”, she is usually the female counterpart of the above mentioned Harlequin whose smartness she shares.Her mask dress can either be “a light pink or green dress” or a colorful dress. That’s the question! 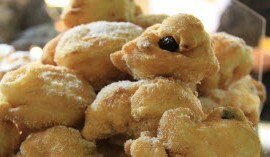 From the day of Epiphany, 6th of January, traditional end of Christmas holidays, till the end of the Carnival period and the beginning of the Quaresima period (the 40 days preceding the Easter Sunday), Venice smell is a combination of syrup, sugar and …any ingredients Venetian bakeries find appropriate for their “fritole” and “galani”. 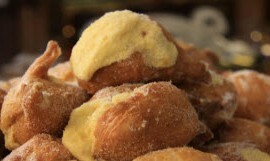 “Galani”: 250 g white flour, 2 eggs, 25 g butter, yeast, orange grated zest, a spoonful of liqueur, 30 g sugar, salt and olive oil for fryingMix the flour and yeast with melted butter, sugar, eggs, the orange zest and the liqueur.Work the dough vigorously and when you’ll have soft homogeneous dough, just leave it rest for approx 30 min under a cloth in a cool place.Roll out the dough and cut small pieces according to your creativity BUT please do not forget the traditional “galani” come in long rectangular shapes with a generous sprinkle of sugar on them. Not wanting to set your kitchen on fire? 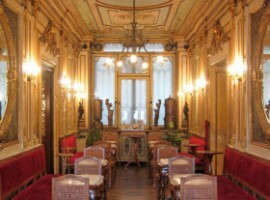 Pasticceria Rizzardini – Venice and Paris in an ode to greediness: Zabaione or Chantilly cream in Venetian “fritole”Località San Polo 1415 Venice. It is Carnival time and kids are at home? Not an artist yourself? Never had any manual skills and not even the slightest sense of art?Well, no panic! 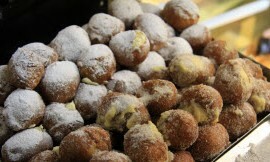 Wear your “bauta”, grab your “fritola” and meet me down at Campiello! 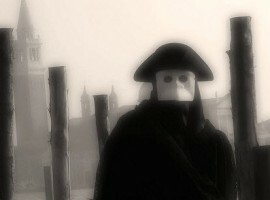 Thinking of joining the mad crowd of the masks in Venice? 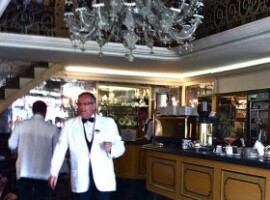 Afraid of the mass of tourists, of high prices and low quality of touristic places? Well, follow our suggestion. 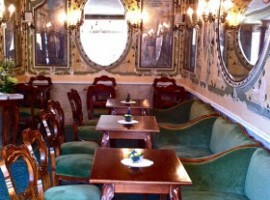 B&B corte Mirandolina: a few minute’s train travel from Venice in Mestre. 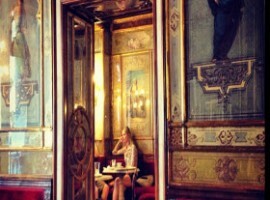 B&B Venice House –Le Guglie: a perfect basecamp for Venice… and Padua, and Treviso and more little Veneto region gems! And now…just get your camera with you and share with Italy Green the best shots of your Carnival…be it in Venice, Viareggio or anywhere your travel brings you. 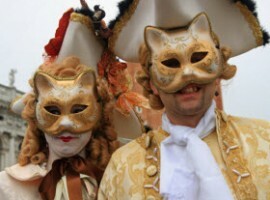 This entry was posted in news, weekend and tagged Carnival, history, local food, masks, taste, traditions, Venice. Bookmark the permalink.